Very good advice. Winter may in fact be the most important time of the year when it comes to keeping your garden healthy. When I lived further north, I would pile on organic matter (straw, leaves, compost, mulch) in fall and let it rot in during the rains and freezes until the spring warmth returned and it could be planted again. Even when I didn’t cover crop, I was feeding the worms and microflora/fauna and keeping the earth alive and healthy with this carboniferous blanket. Even clay softens and darkens under this kind of management. As for winter crops – have you ever tried fava beans? I’m going to give them a spin this year for the first time and see how they do. Our winters are a little too harsh for fall planted favas, but I remember planting them in February one year and they grew well. John Jeavons at Ecology Action in Willits, CA raves about them. Jeavons is a genius – but he’s also got the benefit of a great climate. It’s too hot here for Favas in the spring, I believe, but I think I’ll try them in both Fall and Spring and see what happens. 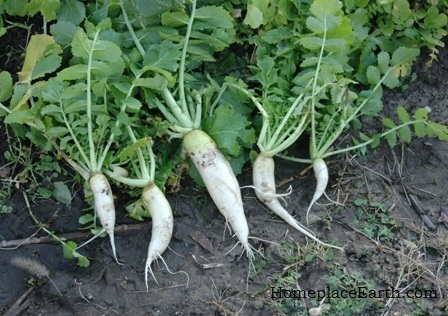 I have deliberately planted cover crops late in the year and allowed them to freeze, rot and create biomass that way. Black-eyes peas and lentils from the grocery store work well for that kind of thing. 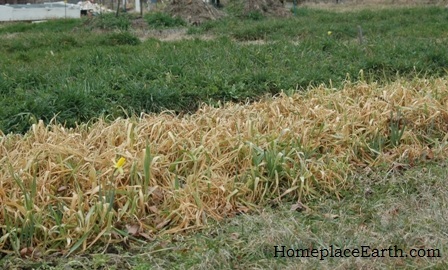 Densely pack ’em in, they jump up and start to get big, and then death by frost returns them to the dirt. Learning what works best in each climate is important. Keeping the soil covered and the microbes fed is the key, and it sounds like those peas and lentils does the job. Having just retired and moved to Fredericksburg, after 24 yeas in Atlanta, I finally will be able to work up to a 1000 square foot garden (the garden in Atlanta was around 250 square feet). As the soil at our new home is horribly compacted from the construction, rather than hand-dig the entire area, tackling a few hundred square feet for a few years, I’d like to contract with a local tractor operator to plow, disk, and harrow so I may plant a fall-winter cover crop (likely of rye grain and Austrian winter peas–deferring to your experience in central VA). Might you know how I might find such a tractor operator? Googling has yielded nothing (realizing, of course, it’s always a question of finding the right search-word). Thanks for the kind assist. Bill, long ago I used to till gardens for people and advertised each spring in the local paper. Those days are gone and people use Craig’s List now, or so I’m told by my kids and younger friends. Look up http://www.craigslist.com, search under your city, then under lawn and garden. If you don’t see anyone offering those services, post a want of your own. If no one answers your query, repost every few days. The job can probably be accomplished with a tiller. In fact you might rent one and do it yourself. Till several passes, going deeper each time. Broadcast the seed, then till it in at a shallow setting. In the spring, till again. You could form beds by throwing the now loose soil from the paths into the beds. That instantly defines the beds and paths and makes it all look good. Mulch the paths or plant white clover there. Or you could inquire at the local feed store. They would be tapped into the local network and know someone who could do what you needed done. Aye, excellent ideas. Thanks for responding. Cool – great article, Cindy. Thanks for post. Making sense of when to plant what, in relation to cover crops, is a challenge. Your DVD helps, too but this was a good summary. Do you have an opinion on using old seed as cover crops? For example, I found a quarter pound of kale seed from 2006. I was thinking, if it came up, it would make a fall/winter cover crop then be nice for the bees in the spring. I also seem to have small amounts of various seed from years gone by I’d like to put to good use. 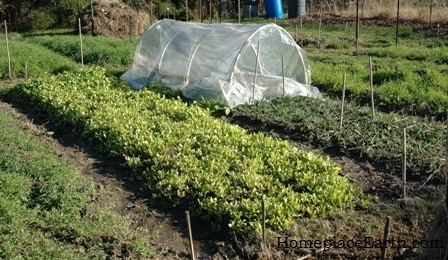 Vicky, using up old seed as a cover crop is a great idea, as long as you aren’t depending on it to do anything special. As you said, if it came up it would attract the bees in the spring–and lots of biomass. If you put it out now, you would know if it was growing in time to plant something else before the end of October. Totally – I’ve done that before as well. I take my old seed and mix it into warm and cool-season baggies, then throw them across bare patches as I find them. The results are often surprising… I’ve found wildflowers and veggies I don’t remember planting. And Cindy – thanks for the reminder on Jeavons and favas. I looked his YouTube videos up again and have started soaking some favas for fall… guess I’ll see what happens. I got the seed from the local organic market in the bulk bins (I planted amaranth and rye that way before too)… hard to beat the price. Thanks for your timely post, Cindy. We have both of your videos and have been inspired by them! We just finished planting cereal rye after we harvested potatoes. I am planting winter wheat where I took out the determinate tomatoes, and was wondering what you suggest for seed spacing and depth. My copy of Rodale’s Organic Gardening says the seeds should be about 1″ apart. I refer to How To Grow More Vegetables by John Jeavons for plant spacing. According to that book, ultimately you would want the wheat plants to be on 5″centers. If you are broadcasting or seeding in furrows you would have to account for some seeds not germinating. I suppose 1″ depth is good. If you have my cover crop video you can see that if I’m broadcasting seed and chopping it in with the cultivator, or putting it in furrows, there is no depth measurement. Thank you! I broadcast soft white winter wheat today and had my son chop it in with a rake. I’ll thin after the plants get established. Thanks for suggesting the Jeavons book. It’s time to get that off the shelf and take a look at it again. All’s working out here in Fredericksburg: tractor with wide rototiller will work the soil over the weekend; we’ll dig in about 3 inches of compost over the ~2000 sq. ft garden, then plant rye grain. Now that I’ve a solid source for the rye (it’s very available), I’ve just one more question for now: Could you please suggest a source for the Austrian winter pea? I’ll need 4- 6 pounds, I’m estimating. 7 Springs Farm, of course. I’d never bought any seed there, just row cover, non-dormant oil and mycorrhizal inoculant (power form) plus a few other odds and ends. By the way, I, too, recommend 7 Springs for their range of products, extremely quick service, and their generous over-the-phone advice. 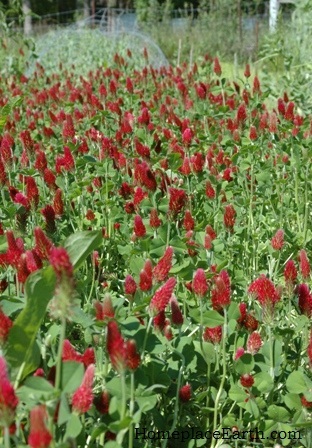 They offer a really nice selection of cover crop seeds, including buckwheat.